Hello and welcome! 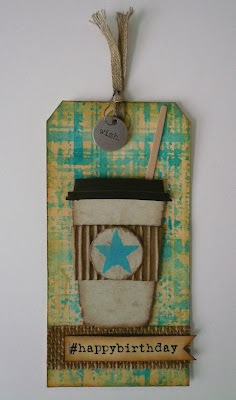 Todays post is my take on this months tag by Tim Holtz. 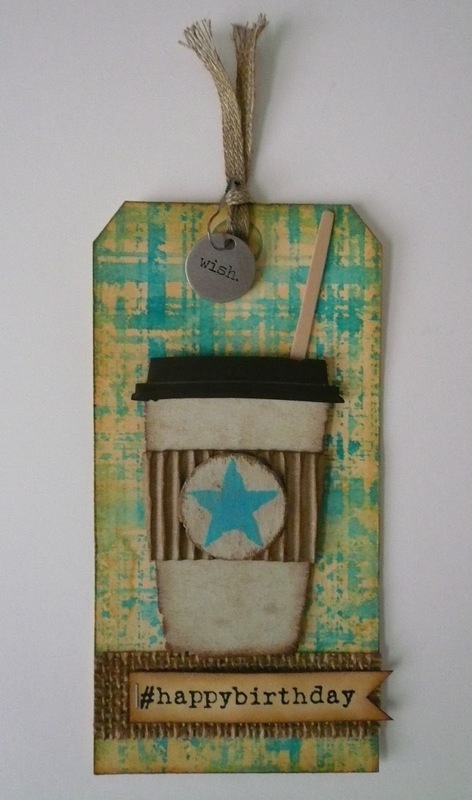 Before the creativity commenced I started the day with a cup of coffee from my favorite shop. I usually recycle the plastic cover and throw away the stirring stick but not today. I cleaned them up and used them on my tag, they worked perfectly with the Fresh Brewed Die. I made my tag to hold a gift card too, what a great idea Tim! Thanks for stopping by!